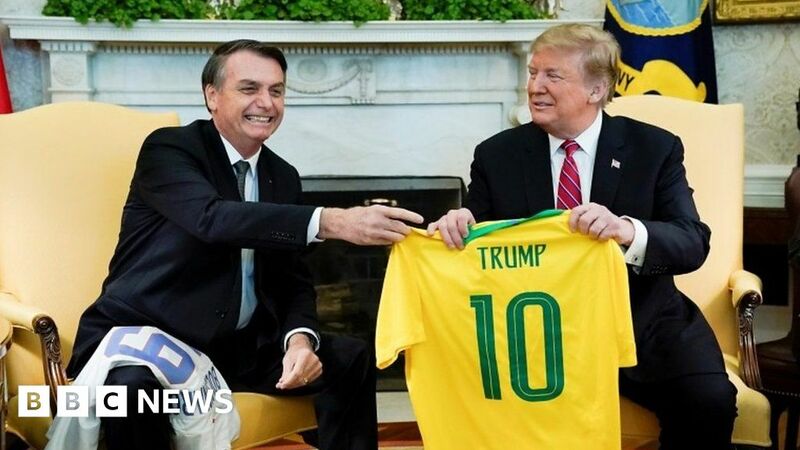 Mr Trump said the two countries had “never been closer” in the Oval Office, where the two leaders exchanged football shirts featuring each other’s names. Mr Bolsonaro has been nicknamed “Trump of the Tropics” for his controversial comments. The far-right former army captain has insulted different groups, including women and gay people.